It's Week 1 of the 52 weeks of Sharing Memories - A Genealogy Journey for 2012. This was started a few years ago by Lorine McGinnis Schulze from the Olive Tree Genealogy Blog. I have decided to do my best to participate as much as I can this year. Those of you blog readers that have checked back over the last few months have noticed that I have been HORRIBLE about regularly posting. It's because of a lack of time with all of the things going on in my life and my problem with taking WAAAAY too much time in editing and fiddling around with each post until it is just right. Therefore, I have decided that I want to use some of the fantastic blogging ideas that are out there, especially those that I feel will help me make quick and dirty posts, as regularly as possible. Although many will note that I certainly won't necessarily always be brief. <grin> And yes, I will finish my posts about my trip to Washington, DC this past summer as quickly as I am able. I still have 3 days of things to talk about. Whew! Bret Petersen and Mark Smith waiting to bowl. 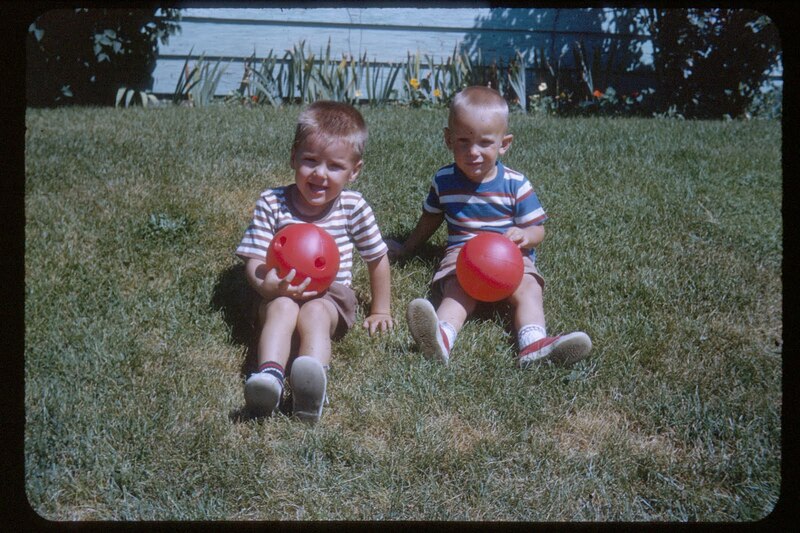 For today, here goes... For me a first childhood memory that comes to mind is hanging out and having fun with my childhood friend Mark Smith. His parents were friends of my parents in the small college town of Provo, Utah, where our fathers were also in school together. His father, Dennis Smith, became a very talented, well-known Utah sculptor (http://www.smithsculpture.com/). Those of you passing through the Salt Lake City Airport will have probably seen some of his work. 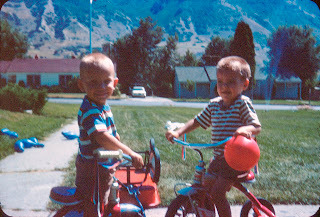 Mark Smith and Bret Petersen with their trusty steeds. We used to do all kinds of things in the front yard of our group of duplex apartments. There was a sidewalk that formed U coming off of the main sidewalk by the street. 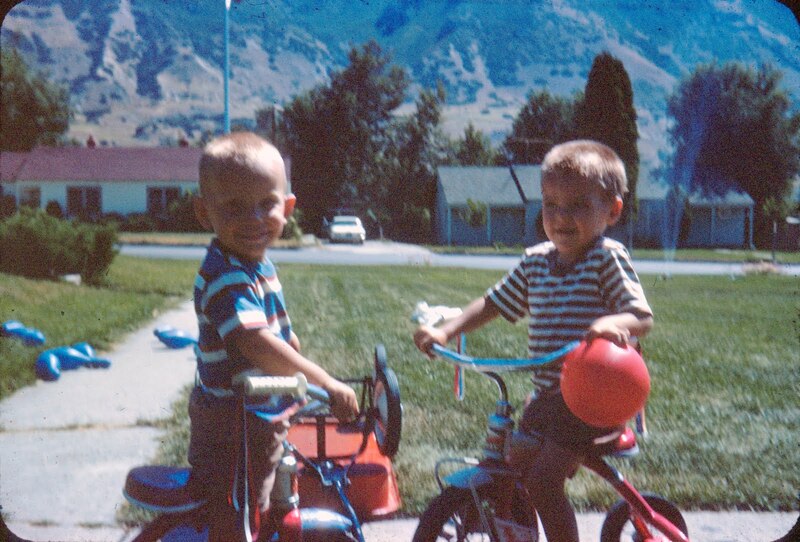 We would play with all kinds of toys, ride bikes, kick around balls, etc. That small piece of land would transform into the Wild West, the Moon or any other type of adventure we could make up...all without the use of a video screen or game console if you can believe that.